Monuments Sight Seeing Attractions Dahshur pyramids When you first get to Dahshur, you might be forgiven for not paying much attention to the strange looking hill or heap of rubble shown below. 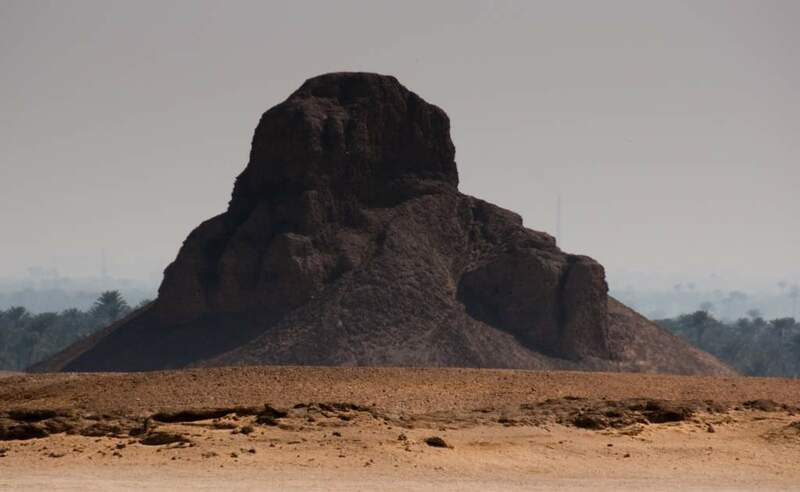 In fact, however, this is the so-called Black Pyramid of pharoah Amenemhat III who ruled from 1855-1808 BC during the Middle Kingdom period. is one of only three of the original eleven pyramids at Dahshur which are still standing, and the interior passageways and chambers of the Black Pyramid are almost entirely intact. The background of date palms on the flood plain of the Nile tells part of the reason why this pyramid collapsed – it’s only 10 meters above sea level, and built on an unstable foundation of hard clay. 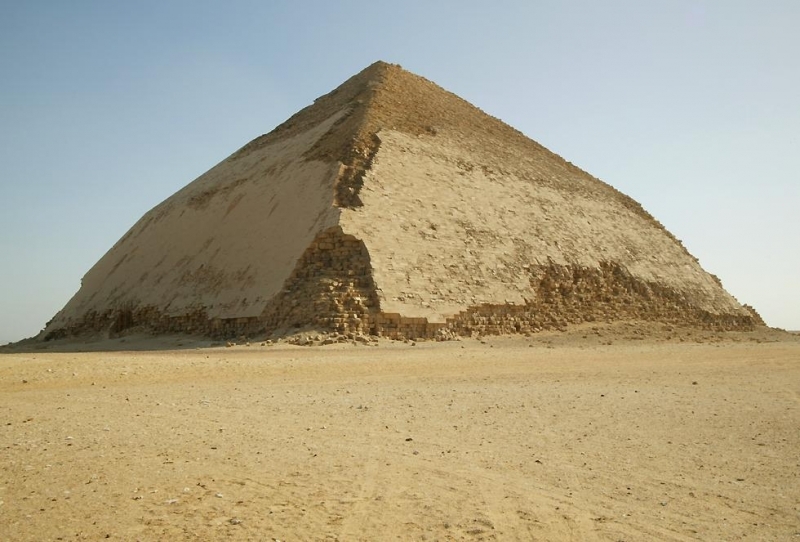 and, apart from its outer covering, there was far less stonework in its structure than most other pyramids. It’s thought that this was the first pyramid with burial chambers built to house both a pharoah and his queens. The bones of both queen Aat and his second consort, who might have been Neferuptah, were found in their burial chambers – however, despite the presence of a sarcophagus in the king’s burial chamber, it seems that he was buried at another pyramid he built, at Hawara. Surprisingly, though, there were four other burials inside the Black Pyramid and archaeologists speculate that two of these might have been pharoah Amenemhat IV and his queen, Sobekneferu. 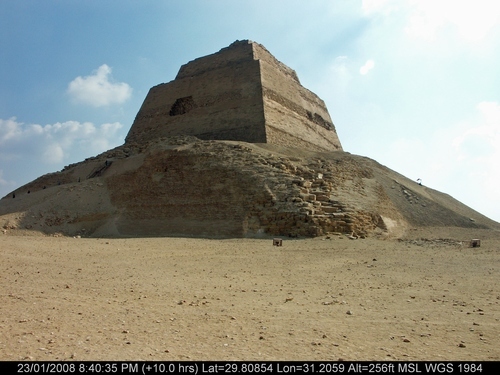 You can’t approach the Black Pyramid because it’s in a restricted military zone, so this photo was taken with a long lens from the Bent Pyramid, described later.